Poha cutlet recipe / how to make poha cutlet recipe – shallow fried patties made with poha or you can call it in Tamil as aval. It is good to have a snack at evening time with your favorite tea. I always love to have any dish coated with breadcrumbs as it really improves the taste. So I added the coating. But you can simply shallow fry without coating it in cornflour mixture and breadcrumbs. You can also deep fry in oil instead of shallow fry. So friends, here comes the happy news. I tried my first video recipe and put down my efforts to give a good one. Please write me the comments on what to improve and also subscribe and follow me. Your encouragement is my boosting energy to work further. Rinse poha in water, drain and let it sit for 5 mins. In a mixing bowl, add cooked, peeled and mashed potatoes, rinsed poha, chopped onions, coriander leaves, red chili powder, garam masala, chaat powder, and salt. Mix everything really well as a soft dough. Pinch a small portion, roll a ball and pat it using your palms as patties. In a bowl, add corn flour and mix it with water as a runny mixture. Dip patties in it and dust it in breadcrumbs to coat fully. Do the same for remaining patties. 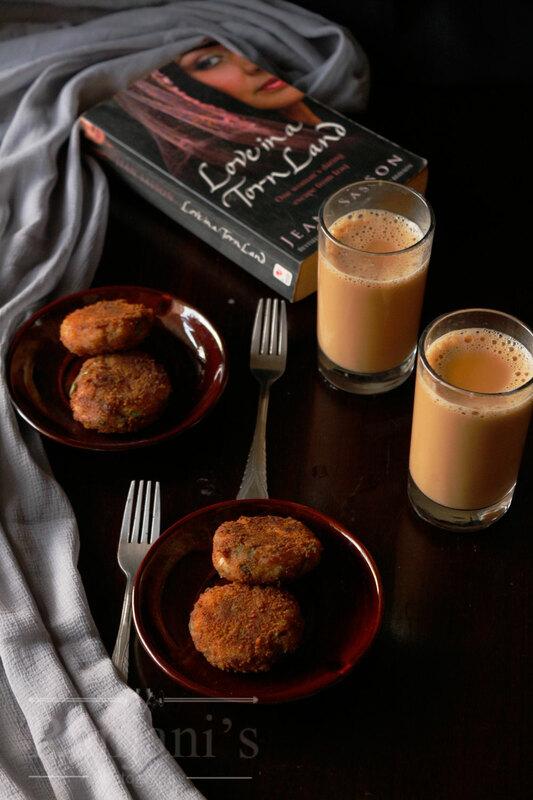 Heat a kadai or dosa pan, add oil to shallow fry and place patties in it. Flip between to cook equally on both sides. Once it gets golden brown, drain the excess oil and place it on a kitchen towel. it looks very tasty and will definitely try. Thanks dear for sharing your recipe with us.